Music and Movies are two passions of ours. Having one system that does both justice is something we strive for when specifying systems for our clients, who also share the same passion. With this in mind, our large cinema room has been upgraded with the pre-power from Marantz and reference PMC Twenty5 26 speakers. The Marantz 8805 AV processor is fully compliant with all the latest sound formats as well as being ready for 4K Ultra High definition sources. The sound quality of the 8805 is improved vastly by the use of 32 bit DACS on all channels which means more enjoyment for you. Most processors use 24 bit DACS which do not sound as good. The 7 channel power amp driving our PMC speakers is the beautiful Marantz MM8077 which supplies 7 x 150w of power to the PMC speakers. High current, high bandwidth discrete power transistors can handle short term musical bursts with aplomb, even into difficult low impedance speaker loads. The PMC speakers always perform better when provided good juice. The combination of the PMC Twenty5 26 Left and Right speakers with the matching PMC Twenty5 Centre really make movies and music shine. For Surround channels at the rear, we have opted for PMC Twenty5 22 speakers which gell very well with the 3 power house speakers up front. For Subwoofer duties, the REL S5 SHO fills the room with a deep and powerful low end which enriches the sound for stereo two channel and multi-channel enjoyment. Bring along some of your favourite music and films and come and have a listen! Thanks for reading. John, Keith & Mahmood - Audio T Enfield. The latest flagship multi-channel home cinema receiver from Yamaha has arrived, the new RXA 3080. This 11 speaker channel, Atmos / DTS:X enabled AV amplifier will up convert via HDMI to 4K and analogue video up to 1080p. If the thought of running speaker cable to the rears has previously been a deterrent in considering a 5.1 (or more) home cinema system, this receiver has the ability to use the latest two of the MusicCast 20 or one or two MusicCast 50 speakers as a wireless surround option. WiFi and Bluetooth enabled, Spotify Connect, Tidal and Deezer are supported. It is also compatible with Alexa voice control assistants. The digital signal processor is what really sets this apart from the previous generation: Very clever electronics can create phantom front and rear height effect speakers. The other unique feature is the ‘Artificial Intelligence’ mode. This adjusts the DSP parameters on the fly by choosing the most suitable DSP mode, dependant on the movie content as it plays. I played the Blu-ray of Fury, switching between the AI and DTS Master, while watching the scenes involving the battle against the field guns and the battle with the Tiger tank. While the differences were by no means night and day, the dialogue was definitely cleaner with the AI function on. If you would like to hear the Yamaha RXA 3080 (or indeed the Yamaha RXA 1080) please call us 01865 765961 to arrange a demonstration. Audio T Enfield we love music and film. Sometimes the challenge is finding a system that is good with both. Let's face it, if you are a movies and music fan you probably wouldn't say no to a system that handles both passions with equally superb sound quality. 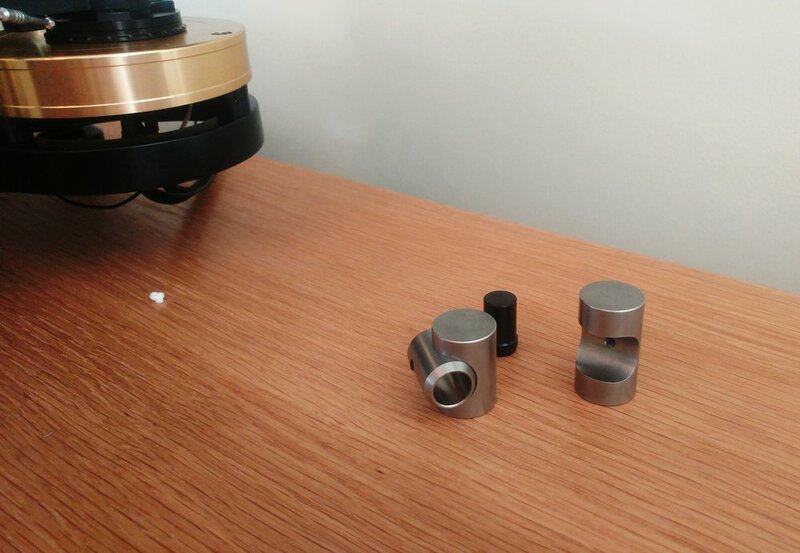 Enthusiasts and audiophiles will know that separate components almost always sound better than their all in one counterparts. Well, we think we have a system that does the job admirably. Introducing the Arcam FMJ AV 860 Processor and Arcam P429 Power amplifier combo. The Arcam 860 is a reference class home cinema pre-amplifier that handles both music and films with aplomb. As it has no power amps on board, the signal path is cleaner with no interference and this adds greater dynamics and separation. The Arcam P429 4 Channel Power amplifiers take the signal from the AV 860 processor and then on to the speakers. Pre Amp outputs supply audio to the Power Amps. The 860 Processor features balanced outputs which provide a clean signal path. A custom power supply was designed for the AV 860 for even better sound quality. It has 7 4K compliant HDMI inputs and 3 HDMI outputs for zone 1 and zone 2. Send 4K Goodness to different rooms. Each P429 Power amp has 4 Class G amplifiers on board and we have two of these to power our Dolby Atmos 5.1.2 Home Cinema. So a total of 8 channels of power are available. As our REL S5 subwoofer is already powered, so we have a spare amplifier channel unused. However this does not mean that we cannot use it! You see, the beauty of the Arcam P429 amplifiers is that it is highly configurable and whilst it comes out of the box as a 4 Channel amp, we can bridge either of the two amplifier modules together and use it as a 4, 3 or 2 channel amplfiier as well. You can see in the image above that Channel 3/4 in the Power can be configured individually. Home Cinema fans will know that the single most important speaker in a cinema system is the centre channel so as we have a spare we bridged 2 amplifier channels on one of the P429 amps to supply our PMC Twenty 25C centre channel with the required power it deserves. Our resident PMC Twenty5 Speaker package has never had it so good! So if you fancy taking your music and movie enjoyment to the next level, please call us to arrange a time to come and experience a truly wonderful home cinema and stereo system. We have just had our ears opened up to the absolutely beautiful sound of the top of the line Marantz AV8805 processor. This generation of Marantz's line of Dolby Atmos processors go one step further in the sound quality stakes by adding Heos Multi-room capability and the ability to fully utilise the processing power of 13.2 channels including Auro 3D, alongside the Dolby Atmos and DTS X. We installed the Marantz AV8805 into our 5.1.4 Dolby Atmos cinema room and have been blown away - no surprise there as we have always been fans of the previous 8802A. What really caught our attention was the ability to run extra height speakers (a total of 6) AND Front Wide speakers in a Dolby Atmos configuration. So you can either run 7.1.6 or 9.1.4 in your Home Cinema. 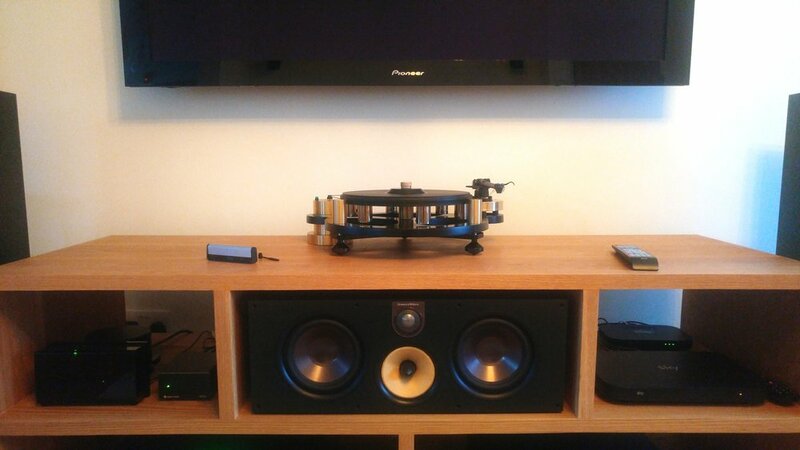 Naturally, most people would look for a smaller set up, however the Marantz 8805 is at home in standard 5.1 systems as well and will still sound fantastic. You can see from the above image that we have configured the Marantz for 7.2.6 Dolby Atmos. The secret in the sound of the Marantz in our opinion is the inclusion of 32 bit DACS. Marantz take this one stage further by including the 32 DAC's for every single channel in the system. 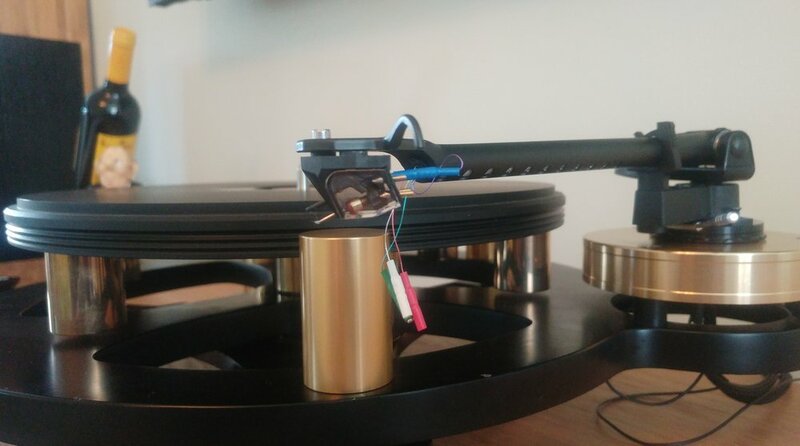 Once you are happy with the speaker configuration, you can further customize the settings to accommodate Large or Small speakers for optimal performance. If you do not want to use the TV/Projector to set up the unit, you can also do so by looking at the front panel and make changes. Build quality is top notch and even though it includes no onboard amplifiers, it weighs as much as most AV Receivers which include amps. The Marantz AV8805 is fully compliant with 4K with HDCP 2.2 copy protection. Dolby Vision and HDR 10 complaint for ultimate performance. Built like a tank folks! Come along have a listen at Audio T Enfield. 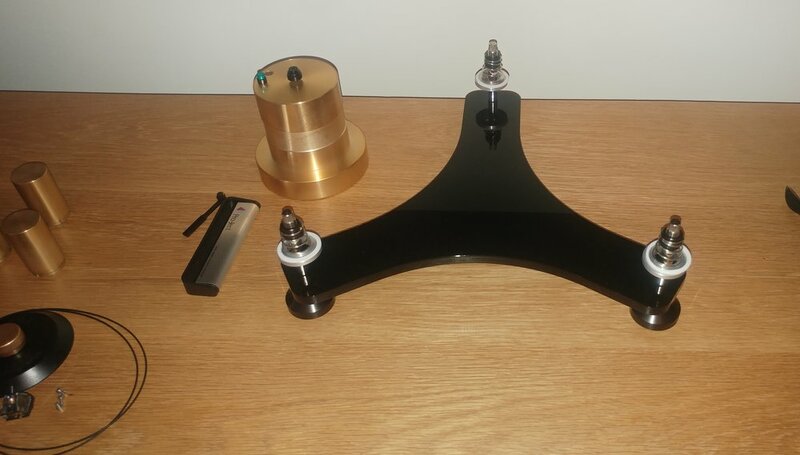 If you love music and film but have a strange shaped room or are suffering from a disappointing home cinema experience due to poor room acoustics, then we may have a solution for you. The new Arcam AVR550 and AVR850 amplifiers have been out in the market for a while, but what you may not know is they have a secret weapon. Arcam's Home Cinema products also include the very latest room correction technology from Dirac Research. Dirac Research was founded in 2001 from Uppsala University, Sweden, where the founders have been conducting research in signal processing, automatic control, systems modelling and acoustics for many years. 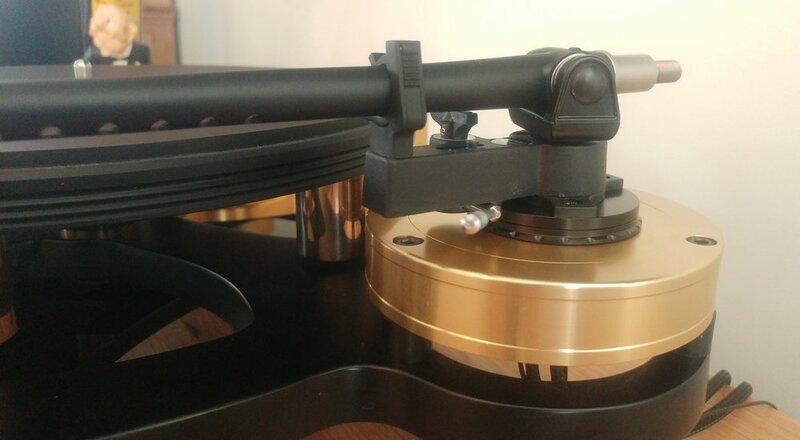 “Dirac Live for Arcam will provide users with world class precision room correction with amazingly transparent results.”, says Charlie Brennan from Arcam. Using the latest is computer wizardry and a high quality microphone Dirac seeks to compensate for frequency and EQ issues reproduced within the room. A great deal of which are very difficult or impossible to remove with traditional EQ setups. 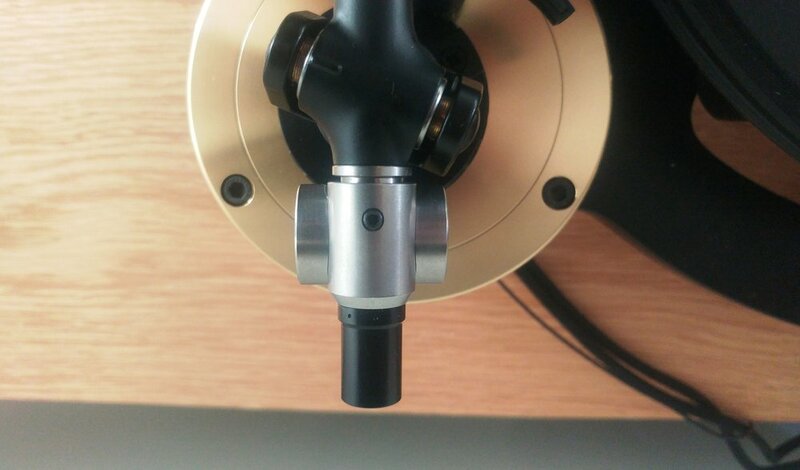 If unresolved this can affect the quality of the sound output which impacts negatively on the listening experience. The advanced Dirac software analyses the speakers as well as the room and corrects these issues with the aim of achieving a much more immersive experience. Using a microphone, laptop and network access, each of the speakers are measured from 9 different test microphone positions. This way, a clear map of the room and the speaker's acoustic behaviour is built up. The whole process can take a while dependent on the complexity of your system. 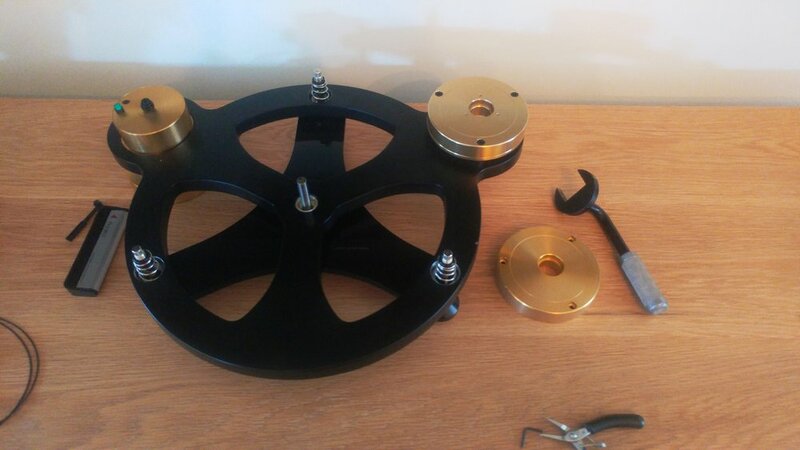 After these measurements are taken, the results are processed very quickly and remotely (via the web to Dirac HQ in Sweden) and received back ready to be applied. This file is then uploaded to the Arcam AVR550 or AVR850 and you're ready to listen. In tests in store using the Arcam AVR550 with a 5.1.2 Dolby Atmos setup we switched between the standard room EQ method and Dirac. The results were amazing Dirac Live brought the whole sound together, tightened the bass response and focused the imaging. Dirac makes the entire system faster, more dynamic and much more fluid. The most amazing effect was how it seemed to make the walls disappear and propel you into the film. While watching Mission Impossible: Rogue Nation we were transported into the atmosphere of the opera house scene. During Gravity we were there with the astronauts in space, physically ducking to avoid space debris. Then in the insanity of Mad Max Fury Road we found ourselves totally immersed in the massive sand and lightning tornado that whistled and roared around the room. 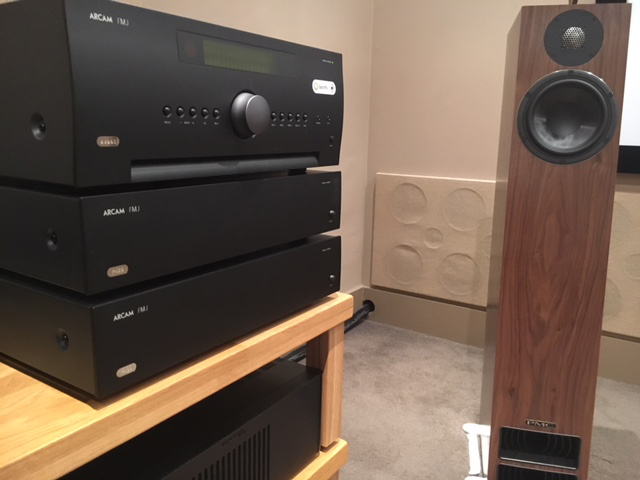 If you want improve your home cinema experience, I would strongly recommend getting an Arcam AVR550 or AVR850 amplifier and exploring the benefits of Dirac. So call us, ask about the Arcam products and let us show you the benefits of such an amazing technology suite. Don't give up on your system we can help. Yamaha MusicCast - Music Everywhere Quite Literally! We have had Yamaha MusicCast compatible products in the shop for a while and have found that the capability and options offered from the range of the products is about as comprehensive as you could imagine. We started off with the Yamaha AV receivers that were MusicCast enabled but were controlling them on their own via the Yamaha AV Controller App (which is a lot easier to use than the handset especially when the room is dimly lit) but were not utilising the MusicCast function. We have been selling a lot of Sonos products as you would expect but have found a lot of limitations with them as regards flexibility of playback methods and line up of products on offer. While the Sonos is very simple to use and set up, we were getting asked about bluetooth and wireless speakers a lot more so really looked more into MusicCast and decided to get a few products in for demonstration. 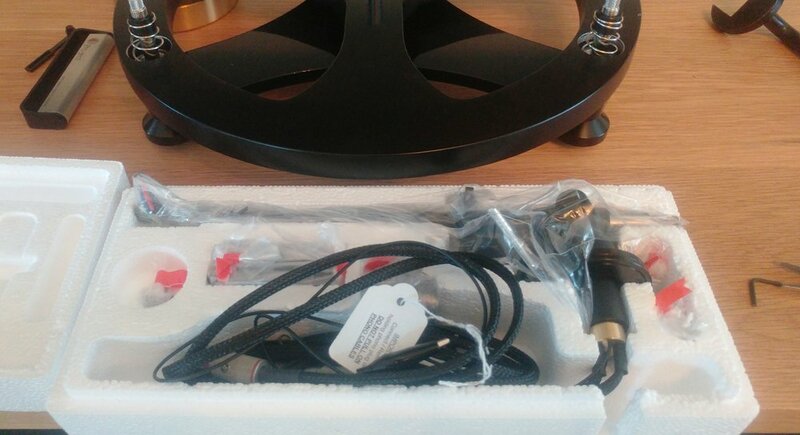 The next product we added to the system was the Yamaha WX030, a small speaker that would be prefect for kitchens, bedrooms etc. Once again it was dead easy to add to the room to the MusicCast app where you give the room whatever name you like and attach a picture so it's easy to identify when the app is on the home page. Once playing, the app will show a very simple screen to show what room you are in, music playing and volume with easy access to other functions e.g. drop down menu for access to music server list or radio stations. For such a small speaker it packs a serious punch! The next product in the range we added is the Yamaha ISX-80. This is quite a different type of speaker system that will certainly be able to placed in a lot more locations due to the fact that it can be wall or shelf mounted and is very slim and stylish. I would suggest this would be perfect for a bedroom considering its flexible placement and styling, but more so because of its clock display and alarm functions. Again quite a punch from a small speaker so if you do use it as an alarm then make sure it's not too loud! The fourth product we added is the Yamaha WXA-50, and perhaps a product that could have the most permutations of usage. A very compact unit with a hefty 70W amplifier on board that is capable of running some very good loudspeakers (we have had great results from the likes of Q Acoustics all the way up to higher end Dynaudio speakers!). With digital, USB and auxiliary inputs you could quite easily see it in a bedroom with a TV, Blu-ray player or laptop connected to it making it a hub for one room. Another option for it is as part of a much larger multi-room set up. Many new builds that we install systems in will have one plant room with the electronics located in there with cabling routed to the relevant rooms, the WXA-50 can be rack mounted and be used on web-setup as it expands into a larger multi-room with more rooms. 4 x desktop speakers, 2 x compact wireless streaming amplifiers, 4 x soundbars and one sound base, 14 x home cinema amplifiers, 2 stereo amplifiers and 2 x cd players and 6 compact hifi systems. And if that is not enough, the one big thing that sets MusicCast apart is the option of portable bluetooth device so you can use a portable bluetooth speaker out in the garden or bluetooth headphones anywhere! As you can see, for a multi-room system that will suit the whole families needs, MusicCast is a product that should be seriously considered. All of the products shown above are permanently ready for demonstration in store so please call in and see what it can do. Yamaha have maintained a high level of performance at the £1,099 price point with the new RXA1060. This stunning home theater amplifier has all the features you would expect to find at this level including, Dolby Atmos, Spotify, DTS-X 4K Ultra HD and Bluetooth aptX. It also supports Musiccast, Yamaha's own multi-room streaming system. With the addition of Yamaha's wireless speakers such as the ISX-80 and the WX030 in separate rooms the RXA1060 can become the heart of a multi room system allowing you to fill your house with your favorite music. All of these great features are easily controlled with Yamaha's slick Smart App. The Smart App is clearly laid out and responsive and unlike some smart apps it gives the user full and complete control through all the amplifiers features. The RXA1060 is not only engaging and exciting when in home cinema mode but is extremely capable when being used in two channel stereo situations offering great imaging and depth of sound not to mention clarity. At £1099 this amplifier comes highly recommended, give us a call to book your demonstration. Preston store is proud to announce that it has become a KEF Reference dealer! The Arcam Solo Movie Is Back! Arcam's Solo Movie excellent one box solution that brings music & movies to life is now on demonstration.